Newest shot... now just XYX, taken not half an hour before my laptop crapped out on me. The demo is newer version than the video, it's resolution was changed to a (more) proper 3:4 screen ratio and there are a number of other improvements. Again, not the newest version; but there's not much I can do about that right now. 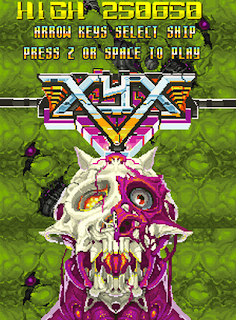 ZpULTRA demo version @ Yoyogames. My first Game Maker project, which I stopped working on not long after I started to come to grips with GML. This one's got a lot of problems....so, you've been warned.